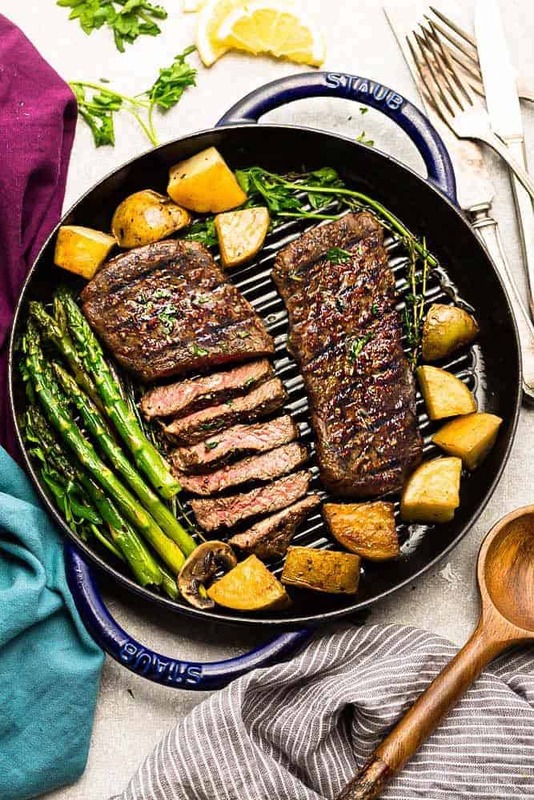 Perfectly Grilled Steak – “how to” tips with a few simple ingredients and a homemade dry rub. Best of all, this delicious recipe is easy to customize and just in time for cookout season! It’s officially grilling season and we could not be more excited! We actually grill all year long (yes – even when it snows) but nothing beats enjoying a plate of fresh barbecued food on the patio on a nice sunny day. With Memorial Day and Father’s Day just around the corner, we’ve been planning the best things to grill up for our menu. 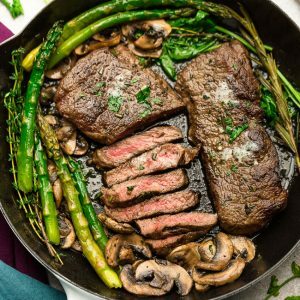 My husband loves a perfectly grilled steak (why we grill all year long ?) so you can bet that we will be picking up some juicy cuts of steak to celebrate. 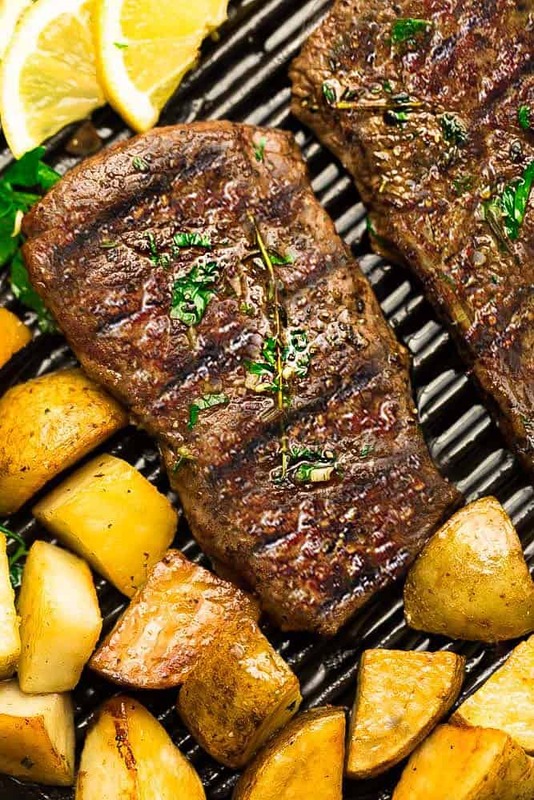 HOW TO CHOOSE THE BEST CUTS OF STEAK FOR GRILLING? 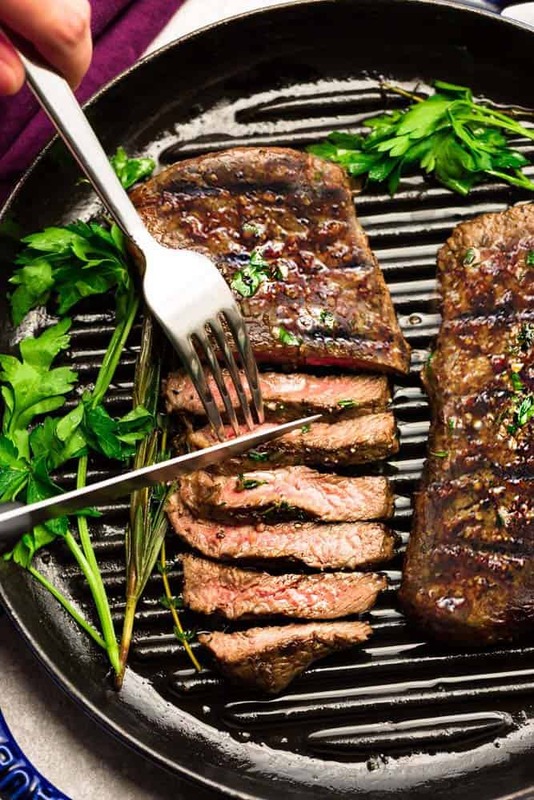 So what types of steak are best for grilling? It’s important to go for well-marbled steaks—that extra fat enhances flavor and promotes tenderness. You can pick these cuts up at your local butcher or grocery store and be sure to ask for cuts that are one-and-a-half to two inches thick to ensure that your steak will reach the perfect char and maximum juiciness. Clean and well oiled grates prevent sticking and give your those beautiful grill marks. 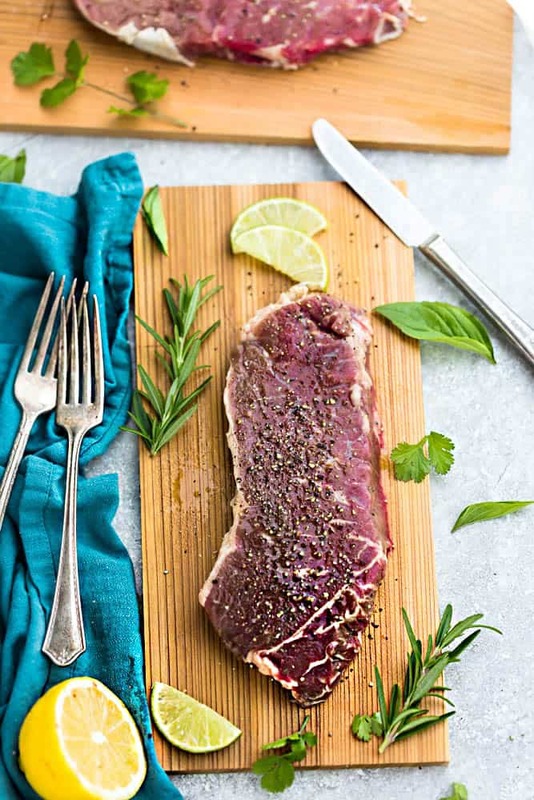 For budget friendly-steaks like flank, sirloin or filet migons, it’s also a good idea to add the best marinade you can along with any additional spices to you liking – minced garlic, minced onion, chili flakes etc. You can keep the seasoning as simple as you like and leave out Worcestershire and the butter for a Whole 30 dairy-free version.